Simple and striking. The Classic Outdoor Nativity Set series proclaims the meaning Christmas with elegance in your yard or garden - in any winter climate. 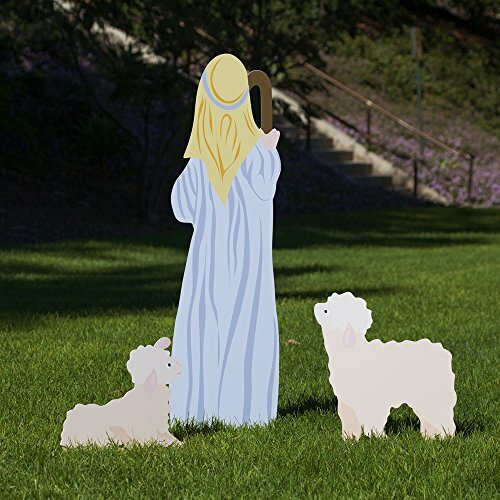 The Classic Outdoor Nativity Set Series is made of all-weather, fade-resistant PVC plastic (figures are 1/4" thick) and is designed to withstand up to 20 mph winds. All Outdoor Nativity Store products are made in the USA. All-weather, fade-resistant PVC plastic. Made in the USA.